Provost Jonathan Holloway speaks at Faculty Senate. Holloway encouraged students to embrace different perspectives in his convocation speech on Monday. Provost Jonathan Holloway and vice president for student affairs Patricia Telles-Irvin encouraged new students to listen to their peers and challenge personal worldviews during convocation Monday. 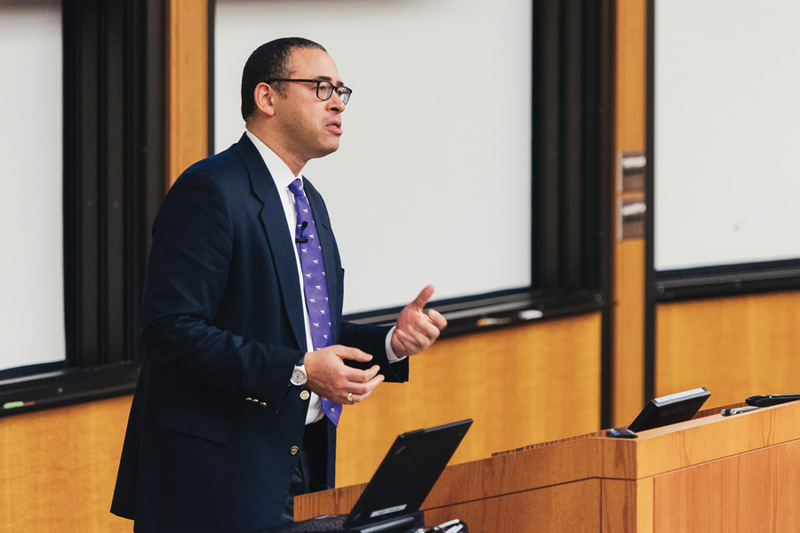 Holloway, who assumed the position of provost this summer, said education will give students the “gift of perception and analysis.” He added that in college, students’ core beliefs will be challenged, but that moment should not be terrifying. Holloway acknowledged that socioeconomic standing, race, gender and other qualifiers can change a person. Telles-Irvin also offered advice to the new students, encouraging them to ask for help and be open to those different from themselves. Telles-Irvin said asking for help was one of the most difficult things she had to do herself as an undergraduate. She said new students will begin to contribute to the community and choose how they impact the campus and the Chicago area. Students will have to commit to opening themselves to differences, Telles-Irvin said. History Prof. Geraldo Cadava, faculty chair of One Book One Northwestern, also addressed new students. Cadava called on new students to think about how their individual successes will help the NU community. He said new students all contribute to the University community and will have to come together to ask and answer important questions about equality. The book “Our Declaration” by Danielle Allen, which was assigned to new students, raises important questions about equality, Cadava said. The book examines the Declaration of Independence. “As students and alumni, you’ll play a role in determining what kind of community Northwestern becomes,” Cadava said. Holloway told students it is important to help each other while also finding and articulating personal values. He said students should also think “ethically” about their educational privilege.